Fremont Memorial Chapel operates two funeral homes serving Milpitas CA and surrounding communities. As a family run business, we are able to offer individualized services at our facilities. We are proud help people and families cope with the loss of a loved one and we provide resources to help manage grief. Our funeral directors are compassionate and professional. We offer flexibility to those who wish to plan memorial services and funeral arrangements. When you come to us, you will be treated as our family and we will try our best to ease the pain of the difficult time you are going through as much as possible. We will continue to strive to offer the highest standard of care to families. We are aware that dealing with a funeral home is never easy. Fremont Memorial Chapel has built a reputation for dignity and quality over the years by providing compassionate, caring and dignified funeral services to the residents of Milpitas CA. We have a number of qualified and experienced funeral directors. Every funeral director gives meticulous personal attention to each detail. This quality service starts from the first moment we are in touch with the family. 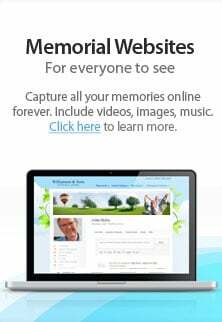 We also offer assistance to people who want to prearrange and prepay for their own funeral in addition to helping families who need immediate funeral arrangements. The prepayment funeral plan is best for those who would like to make all the arrangements in advance for the type of funeral they would want. The prepaid funds are kept secured in a funeral fund and offer you peace of mind. The money is kept there until our services are required. Give us a call today and we will be happy to answer any questions that you may have regarding immediate need or pre-planning. Call (510) 793-8900.